It's time for the Carnival of Nuclear Energy Bloggers to return to this site, after what seems like a rather long hiatus. All that hiatus has done is cause you, the readers, NOT to have to endure the torture of the time-honored tradition here at Atomic Power Review -- the guessing game. Since there's just no getting around it, what is this? If you answer "well, that's a nuclear power plant!" you get no credit. The only way to win is to tell me which nuclear plant this is; partial credit for telling me where it is. The appearance of this nuclear plant is distinctive enough that it can be called unique. The answer - and why I'm bothering to show it to you in the first place - after our Carnival entries. A paper shows that the failure to describe modern economies adequately is not due to the introduction of calculus into economic theory by the so-called 'marginal revolution' during the second half of the 19th century, when the mathematical formalism of physics decisively influenced economic theory. Rather, the culprit is the disregard of the first two laws of thermodynamics and of technological constraints in the theory of production and growth of industrial economies. While there have been large scale, significant solar power installations in the US recently they won't cover the entire energy requirement. Next Big Future covers the solar increases as well as potential nuclear fuel improvements that could lead to a vast uprate of the nation's nuclear power plants. Estimates vary, but experts converge on a view that at least half of the nation's 48 reactors will make progress toward, or restart, by the end of 2015. Also, five-to-seven units in the 40-plus club may set out on the road to decommissioning by March 2016. Energy soared in 2014, but the place to watch was China. China has embarked upon the biggest energy expansion in world history and 2014 was the year in which it all came together. China is diversifying its energy mix like no other country in the world, and now leads the world in almost all energy-related matters. China now has more natural gas reserves than anyone, has installed more wind and solar than anyone, produces and uses more coal than anyone, and soon will add nuclear power to this list of "mosts." To kick off 2015, carbon concentration in our planet's atmosphere spikes above 400 ppm, again; is this the permanent end of the 300's? Steve Aplin of Canadian Energy Issues relates the unprecedented levels of carbon dioxide in the global atmosphere with the closure less than a week ago of the Vermont Yankee nuclear power plant. He notes that 2015 marks the end of two eras: the sub-400 ppm CO2 concentration era, and the end of nuclear power in Vermont. Will Davis writes a short epitaph looking back at the pioneering spirit that built New England, led its revolution both in governance and in energy, and relates these events to the closure of the Vermont Yankee nuclear plant at the end of 2015. It is no longer remotely possible that Fukushima Daiichi groundwater contamination is leeching into the Pacific Ocean. By not reporting this to the world, TEPCO and the NRA are being non-transparent. As promised, Gail Marcus has published her second monthly list of nuclear milestones at Nuke Power Talk. She highlights five major milestones this month, and mentions a couple of other events that occurred in January. Highlights include the first cruise of the NAUTILUS and the startup of two commercial-scale reactors of different types. That's it for this week's entries - a big THANK YOU to all who sent in entries on what's usually a pretty slow time of the year for new blog postings. Now... what was that nuclear power station? The answer is Zaporizhzhya Nuclear Power Plant, in the Ukraine -- the largest nuclear plant anywhere in Europe, and presently one of the largest in existence. The plant has six VVER-1000 nuclear plants, which are all built in a straight line - this, and the plant's sort of wide open views without the presence of cooling towers immediately by the units give it a unique appearance from any angle that is almost immediately recognizable. Why mention it? Well, this week, we've learned some things about nuclear power, social media, Russia, the Ukraine, and this power plant. Here's the short version. Two units at this plant experienced unplanned events (house power transformer failure) one month apart. The first time, Unit 3 tripped and was off line for a few days; the second time, Unit 6 came off the grid but didn't trip the reactor (did not scram, that is) and was back on the grid later that day. No big deal, right? What's interesting about the viral response on social media to the second event is that it used two new Twitter hashtags -- "#FukushimaAgain" and "#Chernobyl2015" and (as discovered by myself, Twitter user @doyleclan1, and the World Nuclear Association's Jeremy Gordon,) was spread almost entirely and exclusively by a fleet of robot or spam Twitter accounts. This clearly was an orchestrated attempt; about sixteen or so accounts were randomly tweeting from a selection of about eight different but fixed pieces of content. None of the bot accounts responded to us. Another Twitter user, @swcrisis collected the user names of ten of these apparent bot accounts and reported them to Twitter as spammers. All of the accounts I saw had little or no bio information and simply said "USA," so as to imply the accounts are American. Generally young, vibrant and attractive faces were used as account photos. There was no interaction on these accounts - just tweets being put out. Each varied as to followers and those being followed. None was exceedingly large in these numbers. The plain facts of the matter are that Ukraine's nuclear plants appear by all indications to be well managed, safe, and those operating and overseeing them appear completely open and honest. 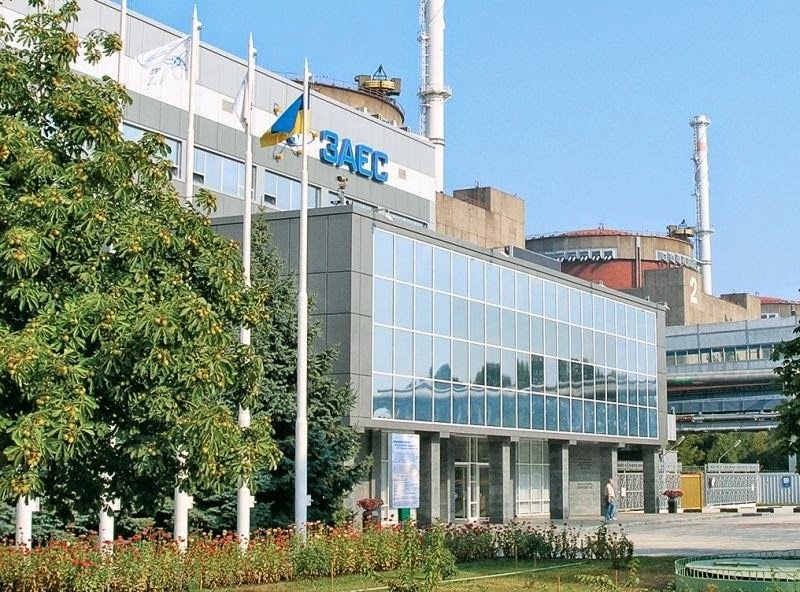 As you'll see if you follow the links I've provided, there is even English language information made available frequently by both the operator of Ukraine's plants as well as the nation's nuclear regulator. Even the IAEA has spoken up to say that conditions there are nothing to worry about - so clearly IAEA itself is on the spot. This entire exercise has been incredibly helpful and instructive to me in a number of ways - I hope that not only nuclear communicators but mainstream media people see this post, read it, and understand it. The point is that there is no reason to believe Russian news sources about these things, when Russia clearly wants to help Ukraine collapse so it can move in; also, for media, there is a time to call Bill Nye for a fun interview or Michio Kaku for something far out... and then there's a time to contact us (ANS, or NEI, or WNA, etc.) to get real, straight information on reported, supposedly dangerous events at nuclear power plants. Or you could just look yourself and see what the Ukrainian nuclear plants' owner says.. or what their nuclear regulator says. It's your call, MSM, but pick one. Oh, and one more thing - ignore trending on social media. It might be phony. Photos of Zaporizhzhya Nuclear Power Plant courtesy ENERGOATOM. For the second time, Russian news sources have reported an incident at a Ukrainian nuclear plant as a much more serious event than it actually was. The first time this happened is documented by a post I made for the American Nuclear Society; this time, a house load transformer at Zaporizhzhya Unit 6 was the culprit, causing the unit to reduce power to 10 percent and come off the grid. The unit was back up quickly with no negative effects to anyone inside or outside the plant. Since it would appear that these news outlets will continue to misrepresent events at this (and perhaps other) Ukrainian nuclear plants, I've decided to construct a post that will give quick links to resources you can use yourself to check on conditions of Ukraine's nuclear plants. The operator of Ukraine's nuclear plants, all of which date originally from the days of the former Soviet Union, is Energoatom. Its home page in English is here. There are four nuclear power stations in Ukraine; the one in the news recently and largest in Europe is the massive Zaporizhzhya NPP; Rivne NPP, South Ukraine NPP and Khmelnytska NPP round out the fleet. •Rivne NPP (sometimes seen as "Rivno") is the oldest of the sites. 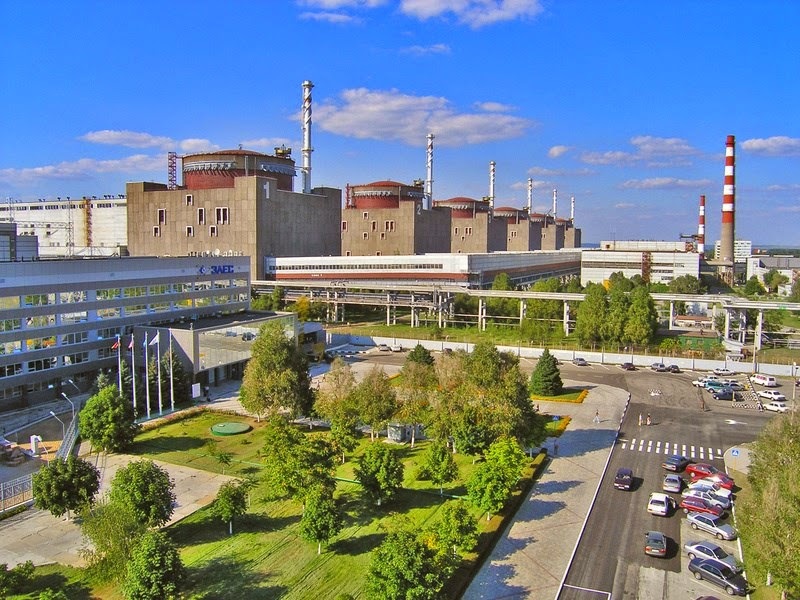 The site was originally named the "West Ukraine" NPP and began construction in 1973 with two units of type VVER-440. These plants were constructed using the updated (1974) V-213 plant design that had vastly improved containment as compared to the older V-230 plant design, and Units 1 and 2 came on line in 1980 and 1981. The site was expanded by two VVER-1000 plants, units 3 and 4 which came on line in 2004 and 2006 respectively after a construction hiatus. A planned fifth unit, also a VVER-1000 was never built. All four units continue in operation today. •Zaporizhzhya NPP (sometimes seen as "Zaporizhia" or "Zaporozhye") was ordered in 1977, began construction in 1979 and is Ukraine's (and Europe's) largest nuclear plant. The site houses six VVER-1000 reactor plants, Units 1 through 6 which came on line between 1984 and 1995 and also houses a large, dry, above ground spent fuel facility placed in operation in 2004. This plant has its own website. Ukraine's regulator is the State Nuclear Regulatory Inspectorate of Ukraine; its English language website is located here. News items are available as they're translated. The status of Ukraine's nuclear plants is updated daily at this link. Click on the most recent date. Energoatom's Press Center in English is here. Energoatom has a wonderful photo gallery here that nuclear communicators may wish to access. The above links and information should give nuclear communicators what they need to find the truth, quickly, in the case of further misleading stories about nuclear plants in the Ukraine. I welcome the inclusion of further links readers may wish to provide. Zaporizhzhya NPP events at Unit 3 on November 28, 2014 and at Unit 6 on December 28, 2014 both were related to the "house power transformers" at the units -- transformers that supply power to the many electrical loads inside the nuclear plants themselves if the turbine generator is not operable or trips. In the case of the November 28 event, Unit 3 shut down at 19:54 hours safely and was back on the grid on December 6. In the case of the December 28 event, Unit 6 took its generator off the grid at 05:50 hours but did not experience a reactor trip (scram, or shutdown) and returned its generator to the grid at 22:35 hours the same day. The event on 28 November has been rated by IAEA as INES Level 0 (zero.) That on December 28 has not yet been rated by IAEA but is an almost identical circumstance and can be expected as 0.